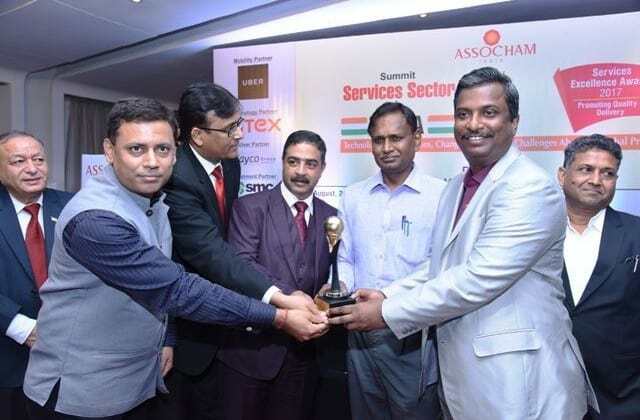 NEW DELHI: Mobile handset and consumer durable manufacturer, Intex Technologies has recently been honored and felicitated by the software industry body ASSOCHAM with the Award for Excellence in Service 2017 at a special ceremony held in New Delhi. The award was given away by Hon’ble Member of Parliament, Udit Raj to Arvind Raina, General Manager, Customer Service (Mobile) and Biju Abraham, DGM, Services (CDIT), Intex Technologies. The award was given to recognize the company’s efforts in providing best services to customers aimed at improving a customer’s buying experience. The award also recognized the steps the company has taken towards resolving the sources of customer dissatisfaction and implementing competitive services that enhance customer confidence. The summit aimed to touch upon key issues such as Quality of Service, Standards, Exports, and GST Impact etc. and discussed about the growth and development of the sector in the coming time. Intex bags ASSOCHAM’s Excellence in Service 2017 Award 0 out of 5 based on 0 ratings. 0 user reviews.